Flat Stanley comes to the Philippines – and had lots of fun! Looks like someone just had more fun in the Philippines! Sometime last March, one of my cousins living in Roseville, California asked if I can take part in her 7-year old daughter’s Flat Stanley school project. My niece is studying in Vencil Brown Elementary School. I had to do some research to know more about this. Wikipedia says that Flat Stanley is a character in an eponymously-titled children’s book written by Jeff Brown in 1964. Flat Stanley’s real name is Stanley Lambchop. One day, his father gave him and his younger brother Arthur a bulletin board where they can display pictures and posters. The father placed the bulletin board on the wall just over Stanley’s bed. One night, the bulletin board fell from the wall (which means that in the first place, it should not be placed there :-)), flattening Stanley in the process. The accident actually turned out to be a blessing in disguise for Stanley. Because he is flat, it became easier for him to go to his friends by being mailed. He even visited different places, including art museums! Ultimately, Stanley was reverted to his normal state by his younger brother through a bicycle pump! In 1995, Dale Hubert, an elementary schoolteacher from Canada, started the Flat Stanley Project. After reading about the story of Stanley Lambchop, children would create their own Flat Stanley. School administrators and/or teachers can register through www.FlatStanley.com to find other parties they can team-up with for the project. In the case of my niece, her school allowed them to choose wherever they want to send Flat Stanley – provided he can return by May 11, 2012! Thanks to the efficient Philippine mail delivery service, it took three weeks before Flat Stanley arrived in our residence. Aside from Flat Stanley, the package also includes a brief letter from my niece as well as a journal where the cute little traveler will write about the places he checked out (with pictures, of course!). Teachers are encouraged “to publish stories, describe local traditions and scenery, talk about Stanley’s adventures, and post pictures” about Flat Stanley’s journeys online. 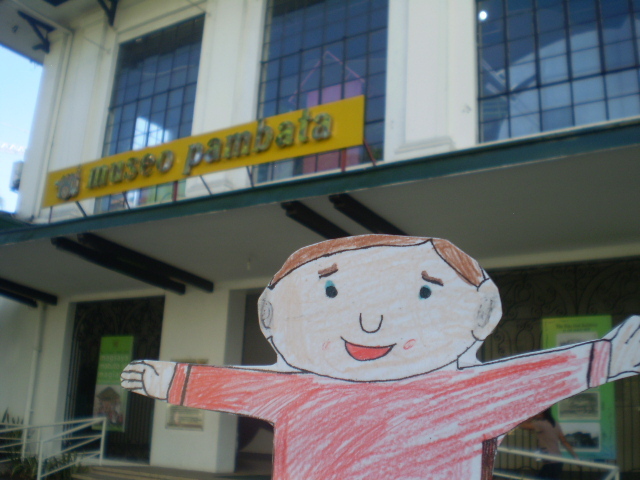 Flat Stanley went inside Museo Pambata, a popular children’s museum in the country. 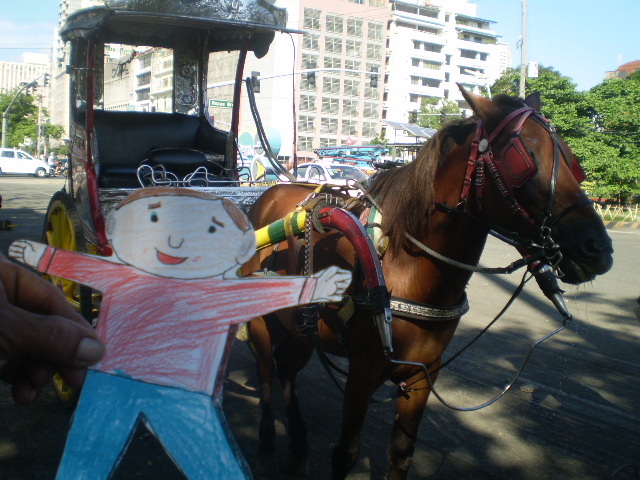 Flat Stanley tried riding on a “calesa,” the local equivalent of a horse-drawn carriage. 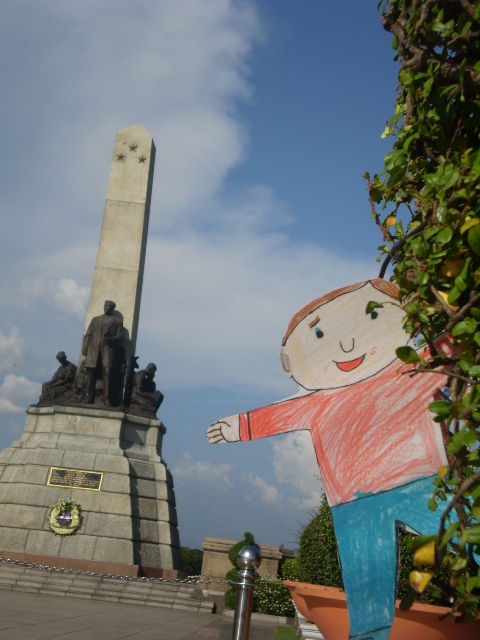 Flat Stanley at the famous Jose Rizal monument in Manila. Rizal is the national hero of the Philippines. According to my cousin, her daughter’s sharing in class went well. 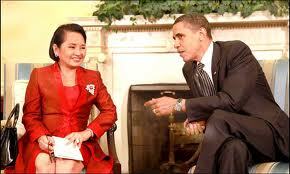 I am happy because I was able to tell American kids about the Philippines, though indirectly. Otherwise, these children might never have the chance to know who Dr. Jose Rizal is. Learn more about the Flat Stanley Project by clicking this link. The Philippines will be marking its annual Labor Day celebration this coming May 1, which falls on a Tuesday. Some are asking if President Benigno Aquino III will move this holiday to April 30 to create another three-day weekend for Filipino workers, and so far, no announcement has been made (check this site for future updates). May 1 is listed officially as a regular holiday throughout the country this 2012 by virtue of Aquino’s Proclamation 295. Read the full text of Proclamation 295 in this link. According to the Department of Labor and Employment (DOLE), an employee who opts to not report for work on May 1 will still get 100% of his/her regular pay for that day. Meanwhile, those who will do otherwise stand to get twice their regular pay for the said day (or double pay). Working beyond eight hours on May 1 would mean an additional payment of 30% of one’s holiday rate for every additional hour. See the complete list of DOLE holiday pay guidelines here. If employees who have Tuesdays as their rest day come to work on May 1, they will get plus 30% of their regular holiday rate. ]The country had its Labor Day celebration in May 1, 1903. On that day, about 100,000 Filipino workers led by Union Obrera Democratica de Filipinas, the first labor union in Philippine history, marched from Plaza Moriones in Tondo to Malacañang, where William Howard Taft, the American civil governor at that time, was residing. Dominador Gomez, the president of Union Obrera, was later arrested for charges of illegal association and sedition. As mentioned in DOLE’s Handbook on Worker’s Statutory Monetary Benefits (released in 2010), an employee is entitled to a holiday premium only when “he/she is present or is on leave of absence with pay on the work day immediately preceding the holiday.” Download the 2010 handbook in this link. 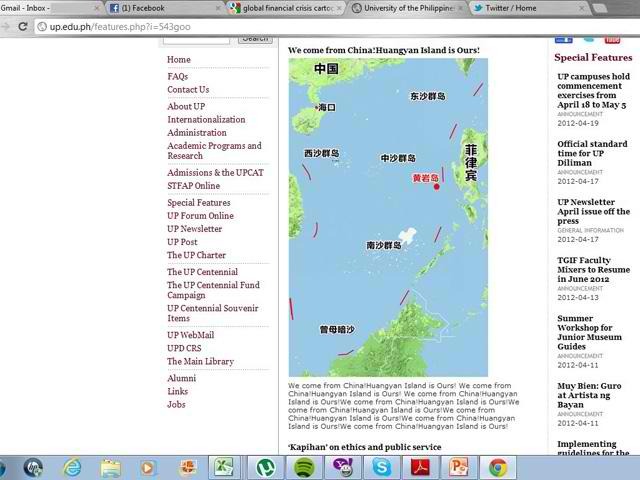 Please like the Facebook page of “Notes from ther Philippines”! Sponge Cola guitarist Armo Armavit acknowledged that the group is somehow nervous because their audience there will be predominantly Caucasians. “But I think it will be just like introducing Filipino food to a foreign friend,” Armavit added, in reference to their group’s effort to share their music to a new audience. The music group was discovered by organizers of “Memphis in May” through video-sharing site YouTube. 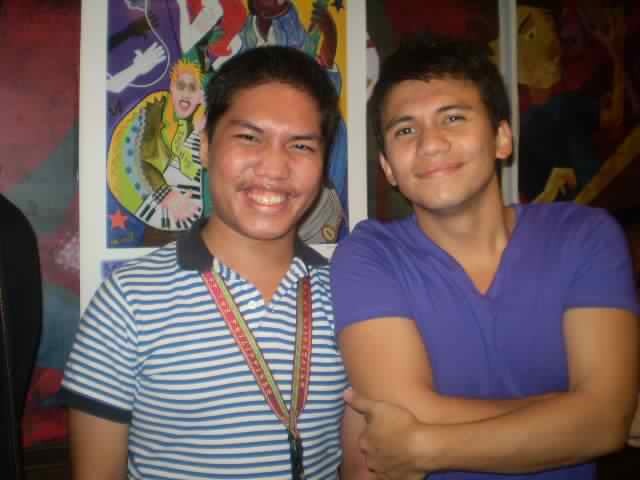 He stressed that recording artist will only have to travel when he or she is on tour. 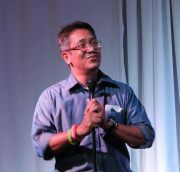 The four-man group addressed questions from members of the media and selected bloggers during a press conference in Tomas Morato, Quezon City last April 19. Aside from Sponge Cola, this year’s lineup of performers includes Evanescence (“Bring Me to Life” and “My Immortal”), rapper Pitbull, and Grammy-winning singer Alison Krauss and her group Union Station. Krauss is best remembered for her version of “When You Say Nothing at All.” Click this link to see the full list of festival performers. According to Yael, their song list for the event includes “Tambay,” “Jeppney,” and “Nakapagtataka.” All artists will be given one hour each to perform during the music fest. Performances will be held at Memphis’ Tom Lee Park from May 5 to 6. The 25-acre park is located in the historic Beale Street, facing the Mississippi River. Tickets to the three-day affair are available at $75 or around P3200 each. Memphis in May is a month-long event held in the said southern US state. Sponge Cola’s upcoming performance is part of the Beale Street Music Festival, one of Memphis in May’s four main events. The other three are the following: the International Week, The World Championship Barbecue Cooking Contest, and the Sunset Symphony. The Beale music event serves as the opening salvo for the whole Memphis in May affair. The gathering attracts tens of thousands of spectators annually. The International Week meanwhile focuses on the particular country chosen to be the featured one on a particular year. This aims to make students in the area of Memphis and nearby counties the opportunity to experience the customs and cultures of twelve different countries from around the world by the time they finish secondary. Asian countries that have been featured in this event are Japan (1977, 1986), China (1987), Thailand (1995), India (2000), and Korea (2003). The National Statistics Office released earlier this month the results of the 2010 Census of Population and Housing. 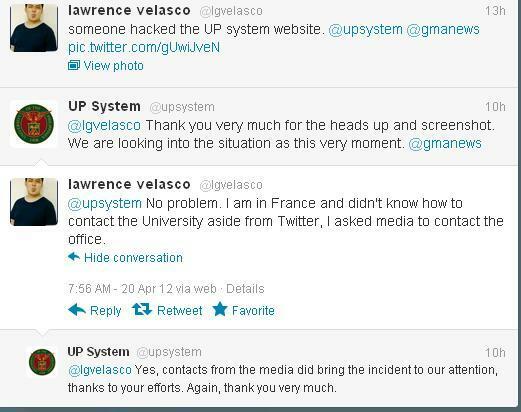 The figures were made official by President Benigno Aquino III through Proclamation 362, which he signed last March 30. The census, conducted from May 14 to June 17, 2010 with May 1, 2010 as reference date, show that there were 92,337,852 Filipinos during the study period. NSO noted in a press statement that the Philippine population increased by 15.83 million from its 2000 total of 76.51 million. The agency added that this translates to a population growth rate (PGR) of 1.9 percent from 2000 to 2010. This figure is nominally lower than the 2.34 percent population growth rate recorded from 1990 to 2000. For the twenty year period between 1990 and 2010, the population grew by 2.12 percent. Prior to 2010, the last census was done in 2007. 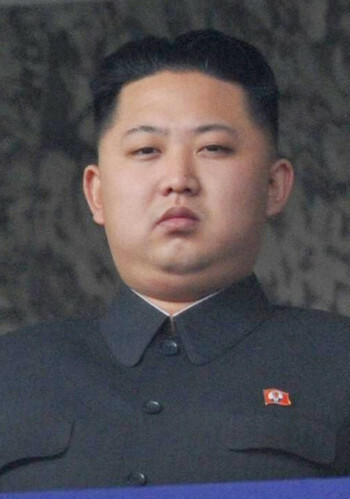 It placed the national population at 88,566,732 with a growth rate of 2.04 percent from 2000. The conduct of a national census is governed by Batas Pambansa Blg. 72 and Commonwealth Act 591. The Philippine Star’s Iris Gonzales reported two years ago that “about 58,000 enumerators, 11,500 team supervisors, 3,300 census area supervisors, and 2,800 assistant census area supervisors” will be involved in the 2010 census. 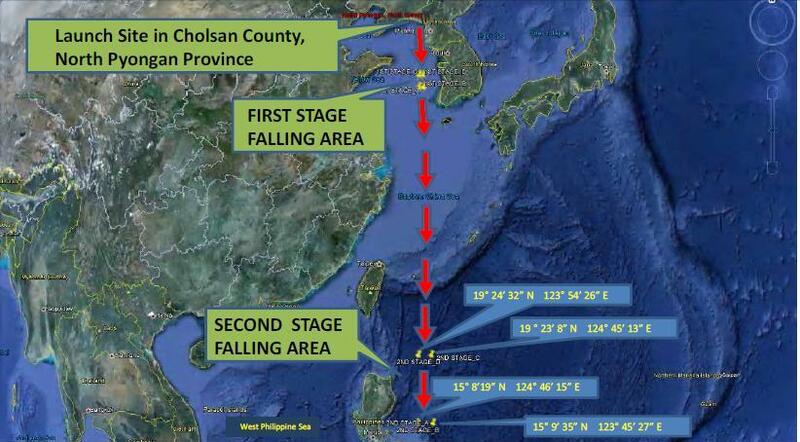 A total budget of P2.16 billion had been allotted for the entire project. It will be presumptuous for groups and individuals opposed to the Reproductive Health (RH) bill to cite the lower PGR (as of 2010) as a sign that the said measure is no longer needed. Although the 1.9 percent PGR recorded in 2010 is lower relative to previous censuses, it is still the second highest in the whole Southeast Asia. Timor Leste’s PGR of 1.96% may be higher than the Philippines, but that country has a population of just a little over a million, according to the US Central Intelligence Agency’s 2012 World Fact Book. It is safe to assume that more and more women are taking it upon themselves to use birth control methods despite strong pressure from the Catholic Church against contraceptives because they are aware of the economic hardships they will have endure because of an unplanned pregnancy. Some may even be inclined to practice abstinence or delay marriage plans altogether. Ramon San Pascual, outgoing director of the Philippine Legislators’ Committee on Population and Development (PLCPD), stressed in a statement that the Philippines can achieve a lower birth rate if not for the absence of a comprehensive national RH policy. San Pascual, who will soon lead the Asian Forum of Parliamentarians for Population and Development in Bangkok, Thailand, also reiterated that 33 percent of total pregnancies among Filipino women are either mistimed or unplanned. For his part, Benjamin de Leon, president of the Forum for Family Planning and Development (The Forum), echoed San Pascual’s appeal for Filipinos not to regard the census figures as plain statistics. “We should look beyond the numbers and think about what this means in terms of provision of services. Each year, 1.7 million more Filipinos will demand and deserve basic services of food, shelter, health and education to name a few,” De Leon expounded. He cited as an example the lingering shortage of classrooms and other school essentials in public education institutions around the country. “Education and access to health are connected,” De Leon pointed out. The results obtained from censuses is said to be important because it will be used by the government in policy making. 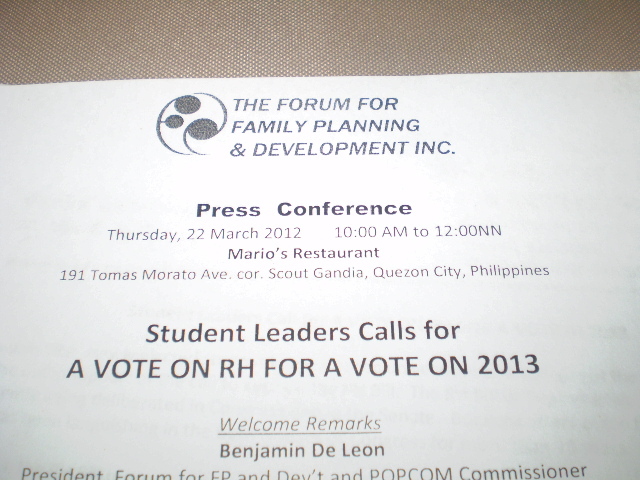 If that is truly the case, then lawmakers should take due notice and pass the RH bill.